Take the Groundhog Day Motor Minute Challenge. Can you complete all the visual motor and gross motor tasks on this page in under two minutes? 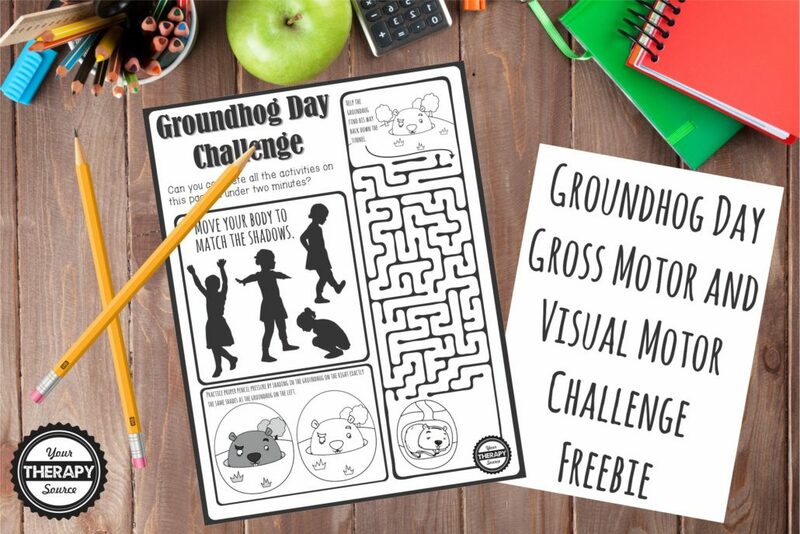 This is quick, NO PREP, warm up activity, brain break, indoor recess or boredom buster for Groundhog Day. And it is FREE! Woohoo! We all love free. If you like this activity check out the Motor Minute Challenges for any day of the week. Motor Minute Challenges is an electronic book of 20 sheets to complete that encourage fine motor, visual motor and gross motor skills. Complete each challenge sheet by finishing pictures, mazes, physical activities and more. Time the tasks for 1-3 minutes or let the child complete each one at his/her own pace. These pages are great for challenges at home, indoor recess time, rainy day activities and push in or pull out therapy sessions. Find out more.